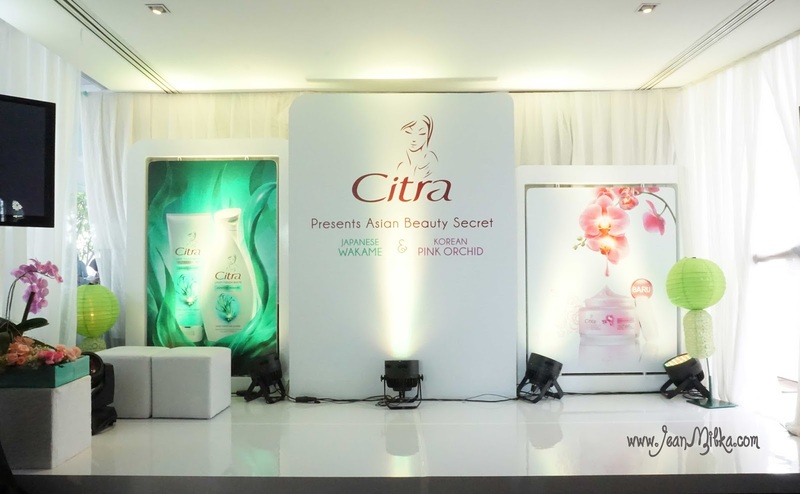 So Citra launching their new products which is Japanese Wakame body serum and gel lotion, also Citra Pink Orchid skin care line (facial foam and moisturizer). 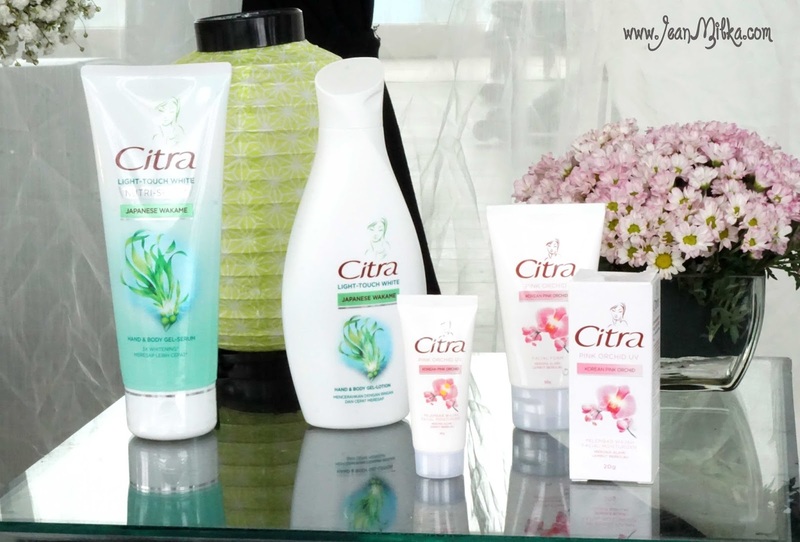 I know Citra Brand as one of popular body lotion brand, especially in Indonesia. They finally launch not only body product but also new skin care product on 24 June 2014, at Hotel Morrissey. First of all let's talk about the event venue. 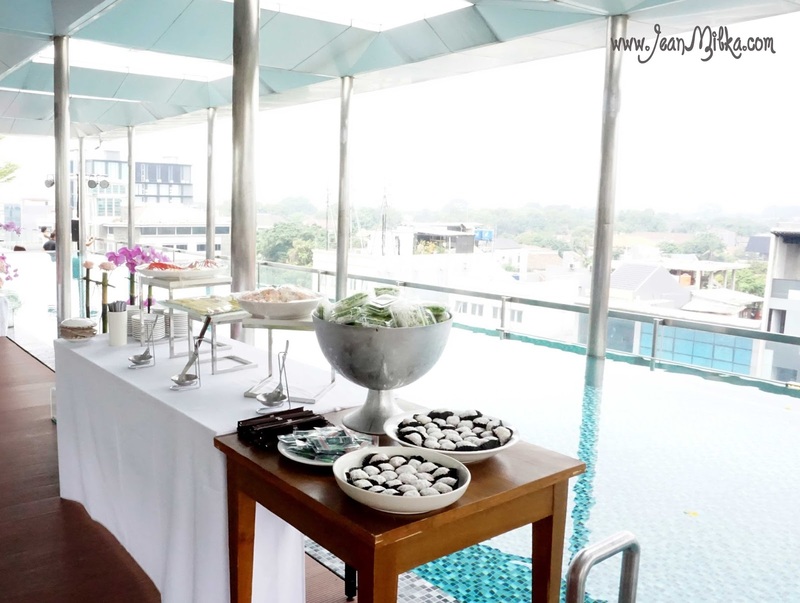 The event was held on rooftop near a swimming pool and the decoration was full with touch of Japan and Korea. I am big fans of anything about Japan and Korea and look at the this beautiful decoration, just make me want to go there even more. You can check most wanted place to visit at Japan in my opinion here *you might can win a chance to go to Japan for free, go check it out !!!*. Not only the decoration, you also can found some signature snacks from Japan and Korea. This is the first event I have ever attend that provide sushi and mochi. Sushi is one of my favorite food tho. First let's talk about Japanese Wakame body serum and gel lotion. This is the first time I hear "body serum" term. I already have bunch of steps that I need to follow to take care my face, add more step to take my body sounds too much. I still don't understand what is the difference, but you don't need to use body serum and gel lotion from Citra Japanese Wakame in the same time. 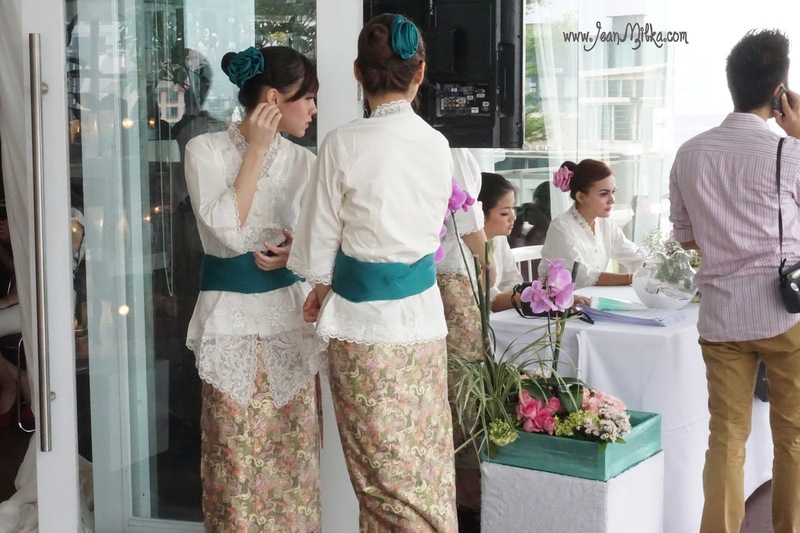 Based on some research, Citra find out that the numbers of carrier women in Indonesia is growing so fast. As well as the number of Indonesian woman who embrace "Hijab" style. Motivated by that reason, Citra think that active woman will need a body lotion that absorb quickly and provide fresh feeling to your skin. I totally agree with that. I always hate thick or sticky lotion and fresh feeling will be plus point for a lotion. The event was start with a performance from Donita as Citra brand ambassador. I would like to tell you that she is really pretty and I like the way she smile. The event mainly like a talk show with Donita, Hilda Kitty as Citra Senior Brand Manager, Vivi Tri Andari as Technical Management Manager of Unilever Indonesia, and Pamela Anastasia as Citra Face Brand Manager. There is also a demo of Citra Japanse Wakame hand and body serum. In this demo, Hilda Kitty show all bloggers and pres how fast Japanse Wakame will absorb to our skin. You can try it by yourself. After you apply Citra Japanese Wakame to your arms and put your arms on sands, most of the sands will fall off when you tap you arms compare to another lotion. The only thing I don't like about the lotion is the scents. For me the scents is too strong. I am not sure what kind of scents is that, but it's not a typical flowers or fruits scents. If you don't like strong scents, you might want to skip this one. What I love from this lotion is the texture. The texture is very watery and it's quickly absorb to my skin. It is clear gel with tint of green color. The gel serum is more watery than the lotion, but overall it's almost exactly a same texture. Last but not least is Citra Pink Orchid. Whitening product is very popular right now. I am not really like a product that claims to give you brighter skin only after couple weeks, cause I am paranoid that it might contains whitening chemical ingredients like bleach. Citra Pink Orchid contains orchid extract that supposed to inhibit the formation of melamine and make your skin looks whiter. The Idea behind Citra Pink Orchid is provide you with white pinkish skin like Korean girls. I haven't try the moisturizer. but I have tried the facial foam and I don't like it. The facial foam make my skin feel so dry. I only tried it for 2 times, so I can't see any result. But I might skip this one since I don't like dry feeling from facial foam on my skin. That is al for the event report and a little bit of my impression to the new products. Please noted that the product review in this post is just my opinion based on my experience. 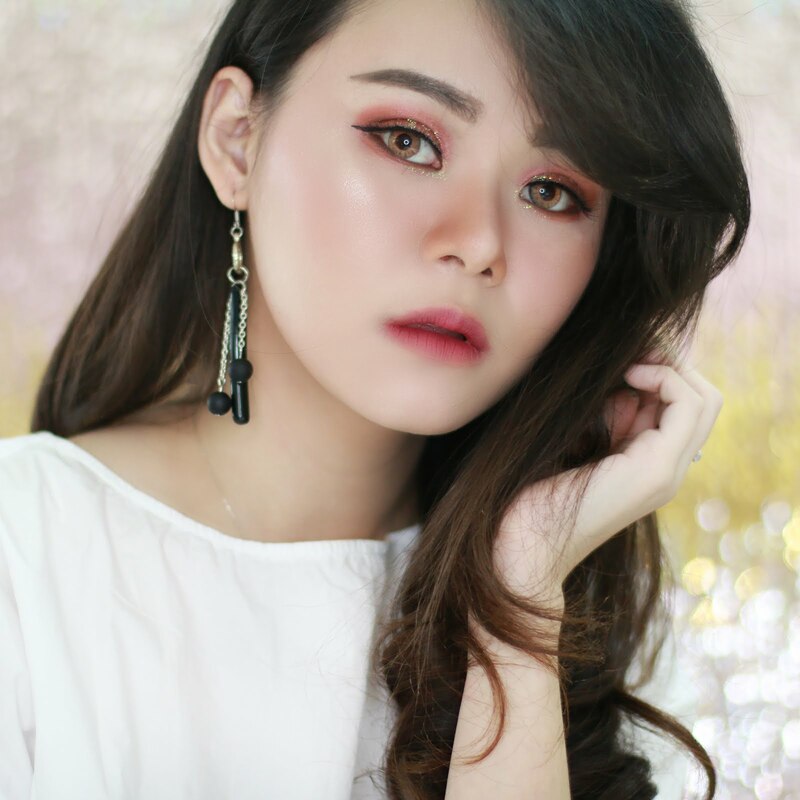 I haven't tried most of the product to give you proper review, that is just my first impression about the product. So please don't judge by only this article. 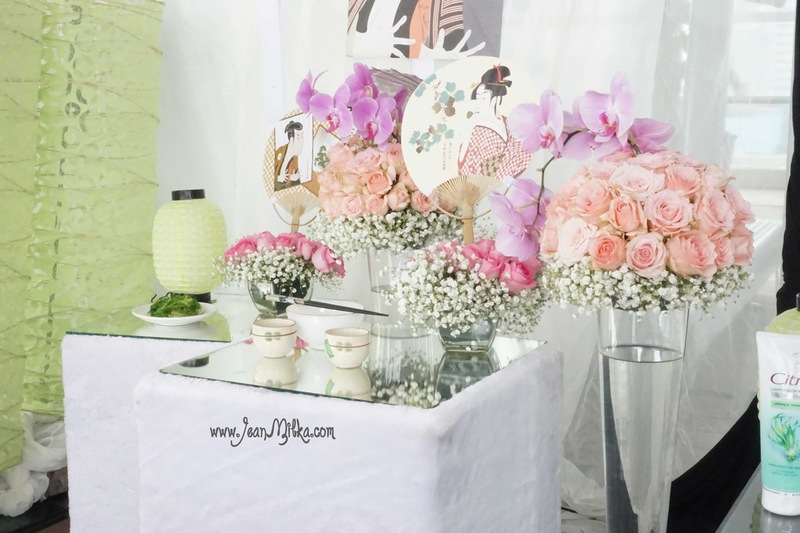 3 komentar on "Citra Wakame and Citra Pink Orchid Event Launching with Donita as Brand Ambassador "
We flew home to book this venue in June last year. Absolutely loved the event planning team here and I'll be certainly waiting to go back there for more events.